Practice Night: Fridays 7.30pm - 9pm but please ring the Tower Captain first as we may not be meeting or we may be ringing a quarter peal. 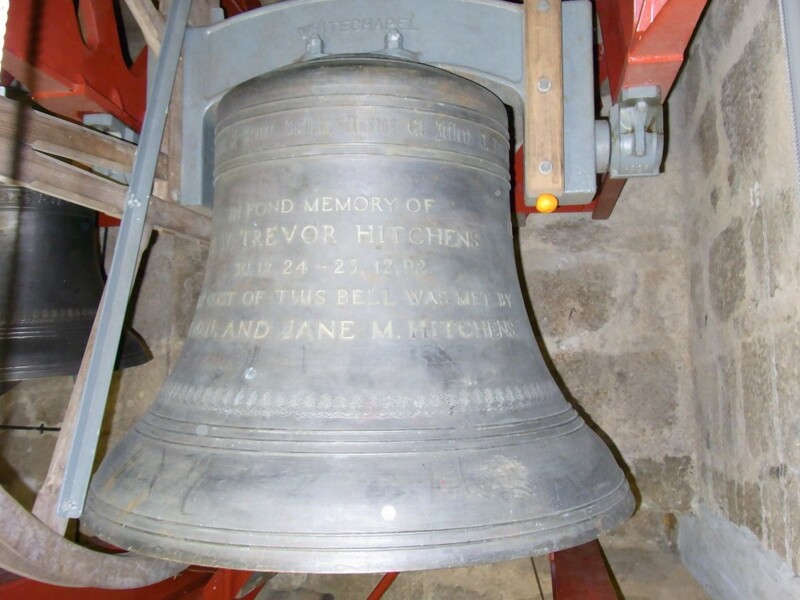 Sunday Mornings: ringing for the morning service from 9.30am - 10am. Please contact the Tower Captain as some Sundays we may not be ringing. Photo 1: The Ringing Chamber looking towards the entrance. 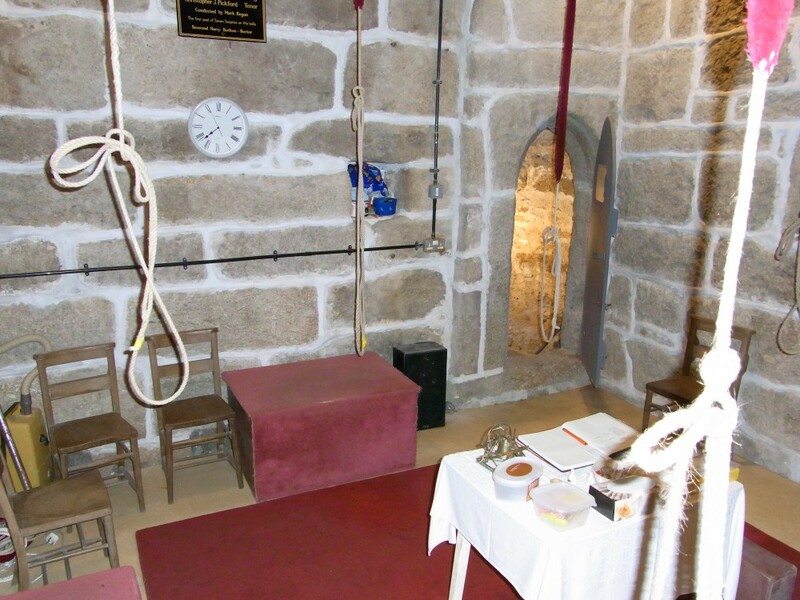 The ringing chamber is accessed via a well lit spiral staircase which has a handrail. Photo 2: The belfry. The prominent bell in this photo is the second the bell to its right is the fifth, note the orange which helps give the bells scale. The bells at the back are the third and fourth. Photo 3: The bells are on two levels this is the lower level showing the treble and the tenor, again the orange helps give scale. Photo 4: The Tenor. 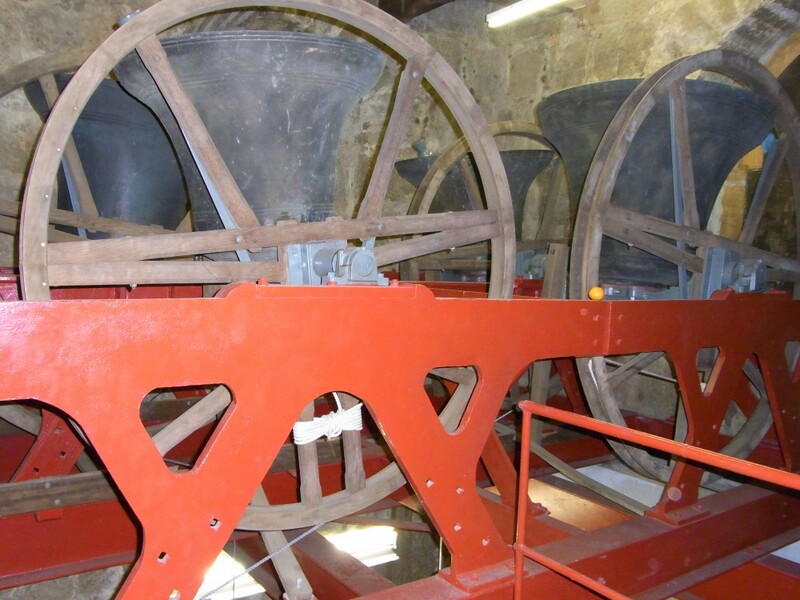 The bells are kept rung up because of their weight. This photo is upside-down so the inscription may be read. The tenor with the clapper weights over two ton. Would you like to learn a traditional skill that has been part of our heritage for over 500 years? 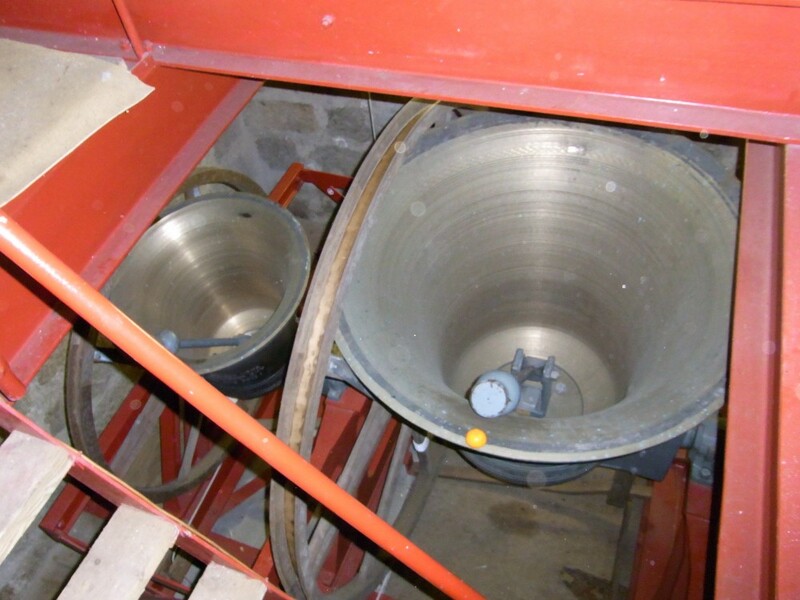 Why not give bellringing a try? Bellringing is a team activity that stimulates the brain and helps keeps you fit - it also makes a glorious sound! Come and meet us and have a go at our Friday Practice, 7:30pm St Buryan church. Ringers come from all walks of life and range in age from ten to those in their eighties. You don’t need special clothing and training is free – but you are expected to ring for Sunday service 9:30 – 10am. Lapsed bellringers very welcome as well. For further information call Chris on 07802 427968 or email Chris Venn or Miranda on 01736 811182.